At the threshold of a new year it is fair to ask: Why do I bother reading the Bible every day? What is the purpose? What is the benefit? The question of purpose is a good one; in fact, two of the great struggles for nearly every person are to seek and find, if possible, true identity and purpose for this short life we have been gifted. As far as I know, we did not ask for life; we just seem to wake up into a strange and wondrous world as if from a very deep sleep. Where there seemed to be nothing before we awoke, now there is color, noise, activity and people. There is a mother to cling to; a father to follow; brothers and sisters to play with, and even possibly an extended family of uncles and aunts, grandparents and cousins. It can be a very populated world we have entered, and it is the first place that provides an important level of identity. But this world we entered so mysteriously is time bound. At some point things will change. We will even change, and with all the changes comes a challenge to the comfort of that original identity. For some, this can be a terrifying experience. Our world can become unfamiliar and isolating; As we shed part or all of the old identity, we grow a new one that at some point will be shed as well. During the course of my own life, I put on one identity after another. Some worked, some didn’t, but as long as I was responding to what others seemed to want, I was able to get by, even if that identity did not fit very well. What changed for me was my encounter with the biblical narrative…. all of it, from Genesis to Revelation. This did not happen overnight. I understood very little of what I read when I started out, because I was overlaying the biblical stories with my own story. It was as if, at first, I was reading to find myself imposed on this person or that in the biblical account. I was making them into me, and so, until I allowed the stories to flow through me into my heart as well as my head, I was unable to hear and understand what was being said. It wasn’t that I was like King David; no, it would be more accurate to say that there was something of King David in me. The more I read, the more I began to understand the full sweep of the human condition, not just the one I was living in my own time and place. And the clearer that became to me, the more I came to stand along side the entire parade of human experience as a participant in this difficult and mysterious world I had entered as an infant. Ultimately, it was a question of which identity fit. Ultimately, my story became a quest to know Jesus and then, to do what I could and can do with all of my limitations to make him known. My identifying with Jesus led directly to my purpose for living through all kinds of circumstances. Living through Jesus meant turning the assumptions behind my perspective upside down. It was not about getting the world to dance to my tune. 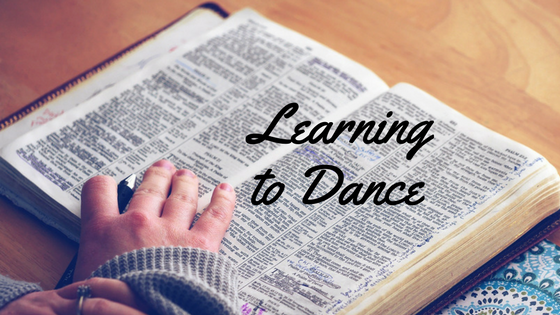 It really was about hearing the music emerging from the pages of the Bible and learning to dance in tune with it. This entry was posted in From The Blog and tagged Bible, biblical narrative, discovering Jesus, Eric Kampmann, Faith, Getting to Know Jesus, God, Jesus, personal identity, purpose, read the bible, reading the bible, what is my purpose, why should i read the bible on January 5, 2017 by Alison.